Charges have been dropped against three international climbers who BASE jumped off Mount Asgard on Baffin Island and made an acclaimed film about it. BASE jumping — a sport where people use parachutes to jump from fixed objects such as mountains — is illegal under the National Parks Act. 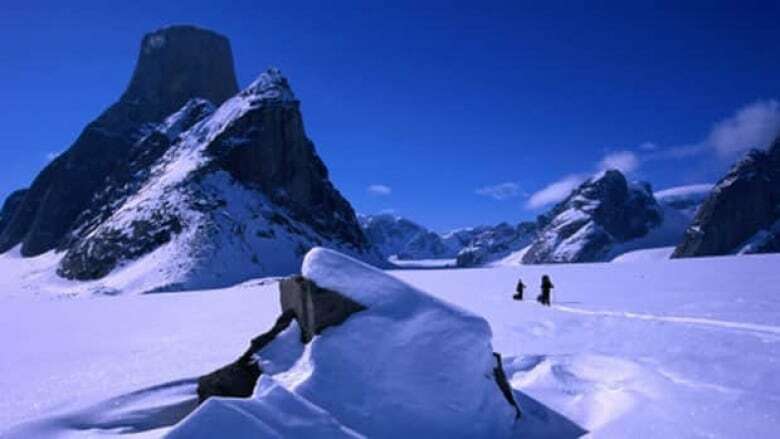 In 2009 Leo Houlding, Sean Leary and Carlos Quiroga Suarez parachuted into Auyuittuq National Park, climbed Mount Asgard, and then BASE jumped off the mountain. Their film The Asgard Project won awards at film festivals around the world, including the Banff Mountain Film Festival. Indra Bhaggan, a crown prosecutor in Iqaluit, said it was a matter "taken very seriously" by the federal prosecution and Parks Canada. "This conduct will not be tolerated and will be sanctioned," she said. The charges against the three were dropped this week in exchange for each paying $1,000 to an environmental damages fund and publishing apologies in two adventure sport magazines. They also had to write letters to two film festivals. "The film was wonderfully made and after we heard about the trouble, we received a letter of apology," said Joni Cooper, with the Banff Mountain Film Festival. Two Australians are scheduled to appear in court in November to face charges after paragliding off Mount Thor in Auyuittuq this summer.